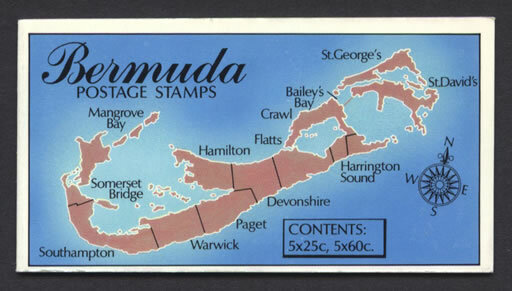 Stamps: Bermuda 18c Main Library, Hamilton; 50c The Old Rectory, St. George’s; 60c Springfield, Somerset Library; $2.00 Cabinet Building. 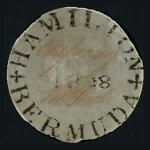 The Bermuda Library was founded by Governor William Reid in 1839. It occupied the east room on the ground floor of the Customs House, which later became the Cabinet Building. 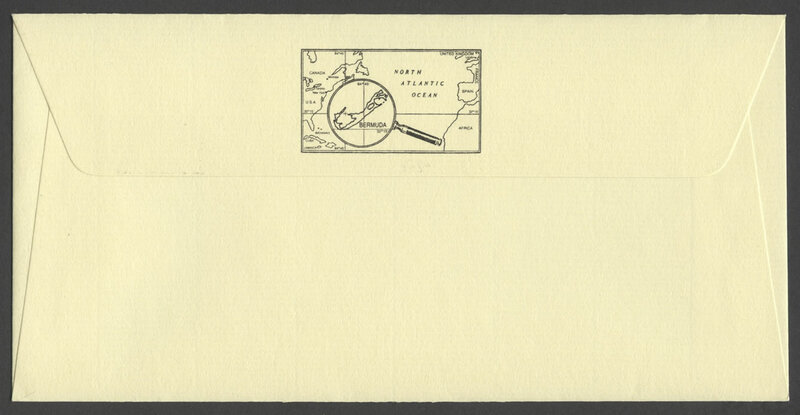 Because of Governor Reid’s foresight, there has been a depository for books about Bermuda for one hundred and fifty years. The library was approved by the Legislature as a general Colonial Library to consist of refertence works and practical books that would be beneficial to the Colony. 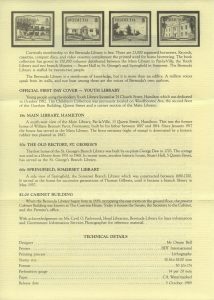 The first meeting of the trustees, to establish the regulations governing the library, took place in August, 1839. Every inhabitant had access to the books in the library and for a membership fee could borrow books for home use. 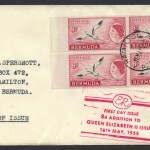 A subscription for one year cost 6 shillings and a life membership £2. The library was open from 12 until 2 o’clock except on Sundays and holidays. 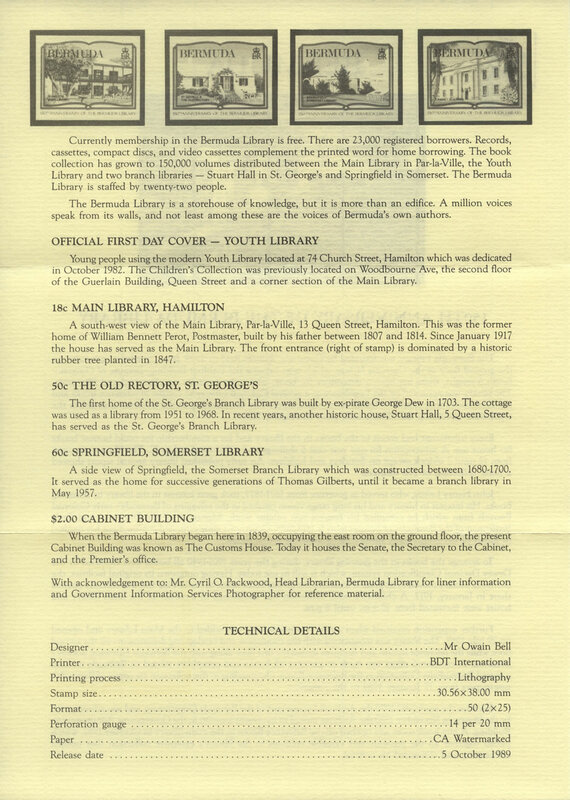 An early published library annual report showed a book collection of 276 volumes. John Henry Lefroy, who served as governor from 1871-1877, took great interest in the library by donating books. His interest in history and his long range vision resulted in the salvaging of Bermuda’s early Colonial Records from which he compiled his famous two volume work, Memorials of the Discovery and Early Settlement of the Bermudas or Somers Islands 1515-1685. 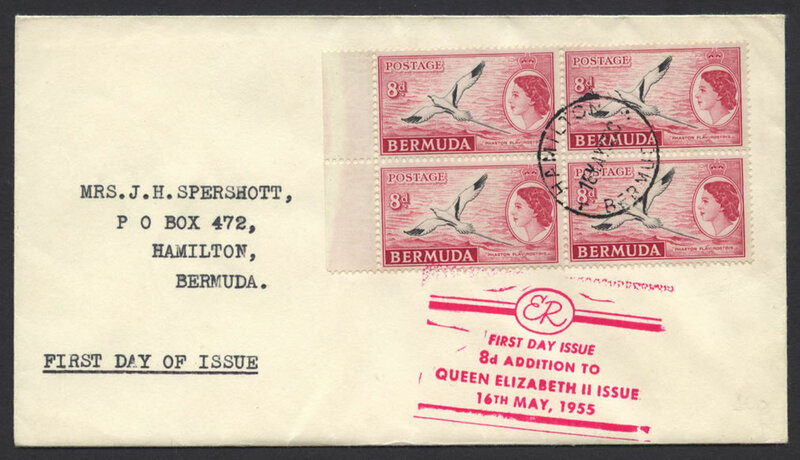 Governor Lefroy’s inspired commitment has resulted in much of Bermuda’s early history being available for us today. To arrange the books in the growing library, during the years 1901-1940 all books were classified by the Dewey Decimal Classification system, which is still in use today. 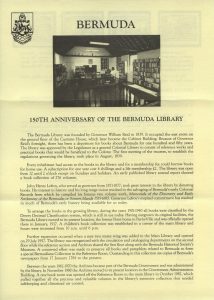 Having outgrown its original facilities, the Bermuda Library moved to its present location, the former Perot home in Par-Ia-Ville and was officially opened there in January, 1917. A children’s book collection was established in a corner of the main library and hours were increased from 10 a.m. until 6 p.m.
Further expansion occurred when a new two storey wing was added to the Main Library and opened on 29 July 1957. 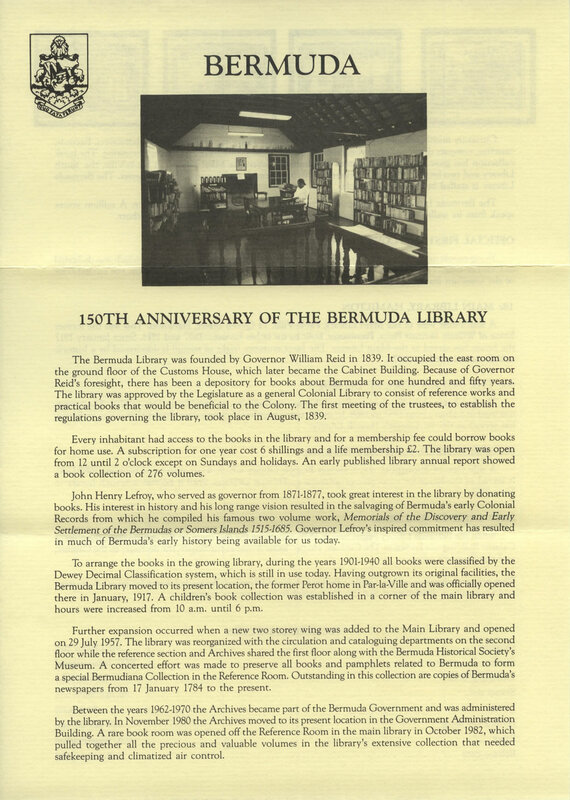 The library was reorganized with the circulation and cataloguing departments on the second floor while the reference section and Archives shared the first floor along with the Bermuda Historical Society’s Museum. 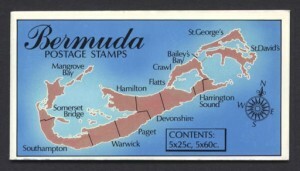 A concerted effort was made to preserve all books and pamphlets related to Bermuda to form a special Bermudiana Collection in the Reference Room. 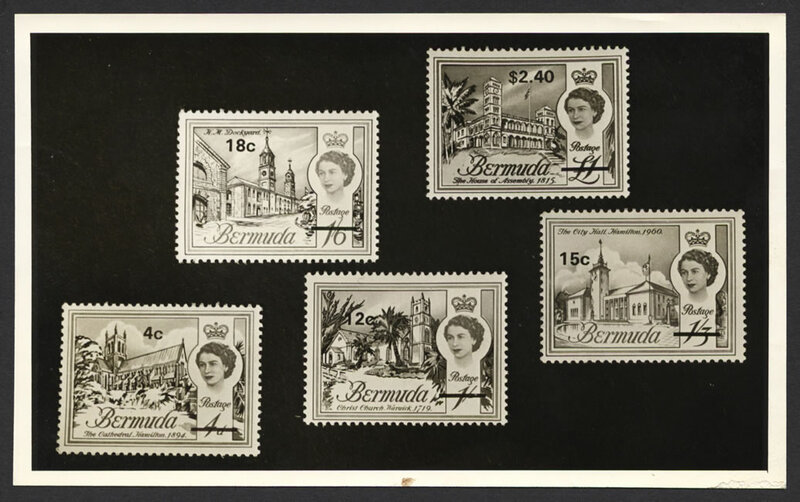 Outstanding in this collection are copies of Bermuda’s newspapers from 17 January 1784 to the present. 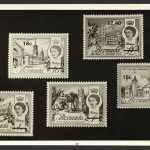 Between the years 1962-1970 the Archives became part of the Bermuda Government and was administered by the library. 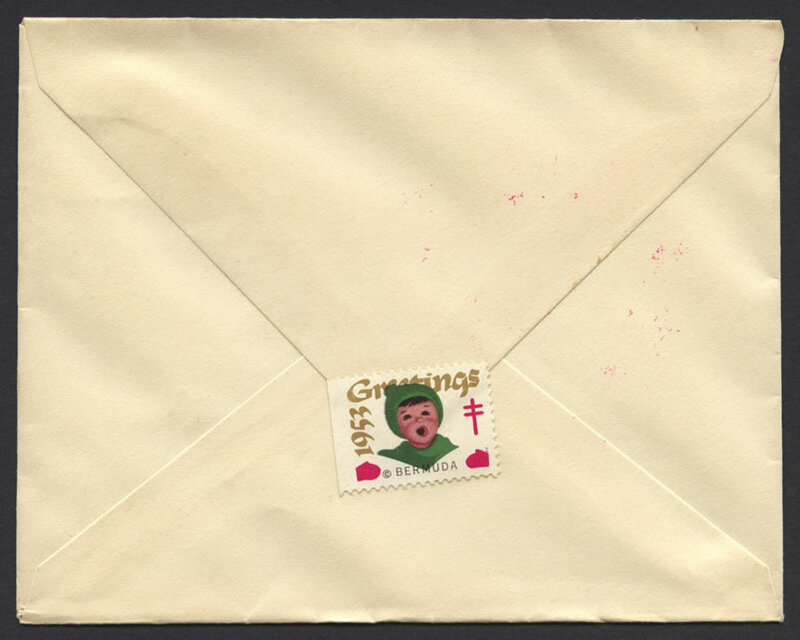 In November 1980 the Archives moved to its present location in the Government Administration Building. 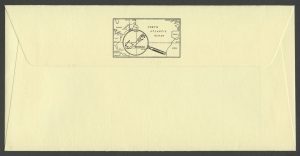 A rare book room was opened off the Reference Room in the main library in October 1982, which pulled together all the precious and valuable volumes in the library’s extensive collection that needed safekeeping and climatized air control. 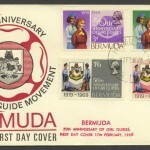 Currently membership in the Bermuda Library is free. There are 23,000 registered borrowers. Records, cassettes, compact discs, and video cassettes complement the printed word for home borrowing. The book collection has grown to 150,000 volumes distributed between the Main Library in Par-la-Ville, the Youth Library and two branch libraries – Stuart Hall in St. George’s and Springfield in Somerset. 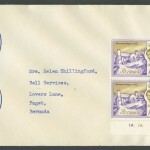 The Bermuda Library is staffed by twenty-two people. 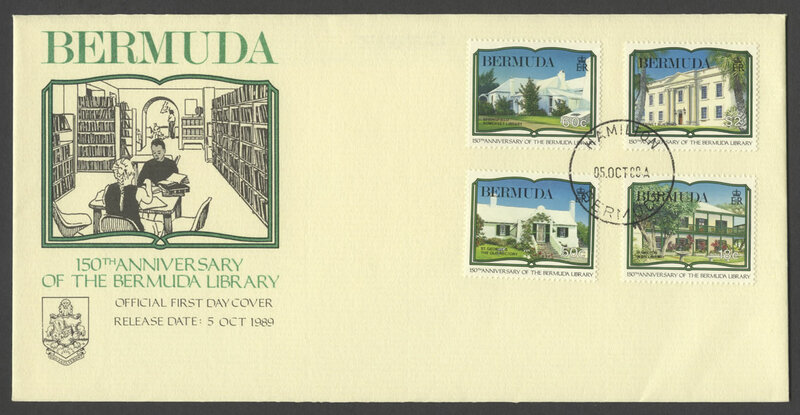 The Bermuda Library is a storehouse of knowledge, but it is more than an edifice. A million voices speak from its walls, and not least among these are the voices of Bermuda’s own authors. Young people using the modern Youth Library located at 74 Church Street, Hamilton which was dedicated in October 1982. 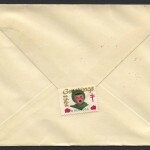 The Children’s Collection was previously located on Woodbourne Ave, the second floor of the Guerlain Building, Queen Street and a corner section of the Main Library. rubber tree planted in 1847. The first home of the St. George’s Branch Library was built by ex-pirate George Dew in 1703. The cottage was used as a library from 1951 to 1968. In recent years, another historic house, Stuart Hall, 5 Queen Street, has served as the St. George’s Branch Library. A side view of Springfield, the Somerset Branch Library which was constructed between 1680-1700. It served as the home for successive generations of Thomas Gilberts, until it became a branch library in May 1957. When the Bermuda Library began here in 1839, occupying the east room on the ground floor, the present Cabinet Building was known as The Customs House. Today it houses the Senate, the Secretary to the Cabinet, and the Premier’s office. 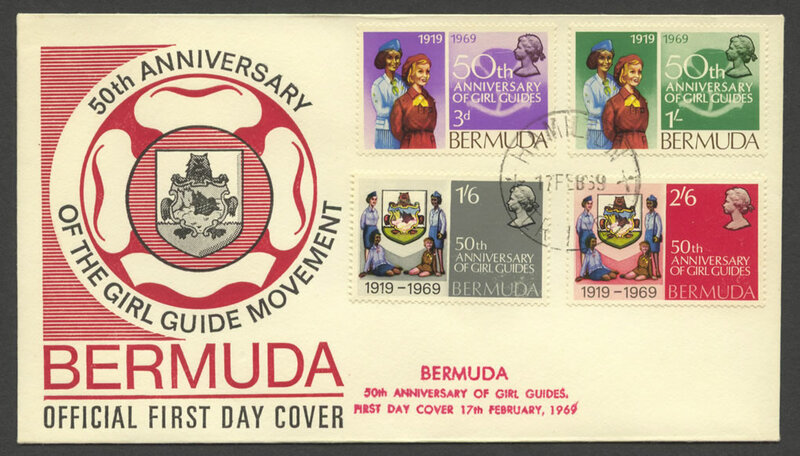 With acknowledgement to: Mr. Cyril O. Packwood, Head Librarian, Bermuda Library for liner information and Government Information Services Photographer for reference material.